How can you make gymnastics challenging, lively and inclusive?How can you improve the health, fitness and well-being of all your children?How can you ensure progression over time? This practical and easy-to-use teacher's guide is the brand new edition of the popular workbook Gymnastics 7-11. It takes a session-by-session approach to teaching physical development and well-being through gymnastics for the seven to eleven age range. Fully updated with the most current schemes of work to use at Key Stage 2, it sets out a series of forty-four sessions over the four year span, to give you planned and logical progression of both content and advice. The session plans are structured from year three to year six and can be followed as a complete course or dipped into for ideas and inspiration. Illustrated thoughout with colour photographs of real children in a range of gymnastics lessons, this one-stop resource also includes a 'Specific Skills Guide' to help you support children in developing the correct techniques. learning objectives assessment criteria consolidation from the previous session step-by-step session content warm up and final activities teaching approaches floor and apparatus work. 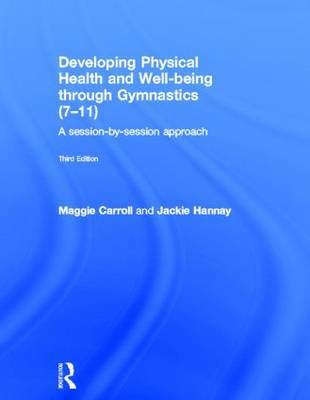 The companion volume, Developing Health and Well-being through Gymnastic Activity (5-7) follows the same format, and together, these user-friendly books provide a continuous and progressive programme of work from years one to six. If you are a practising or student teacher, this guide will give you all the confidence you need to teach gymnastics in your school!